My office has been working on improving mobility since January 1, 2013. 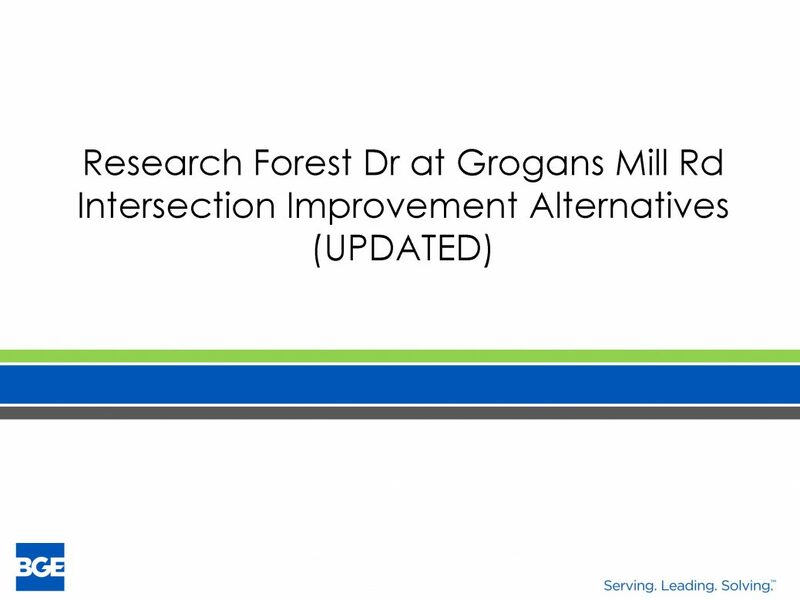 The South Montgomery County Mobility Study, in which Shenandoah and The Woodlands Township were stakeholders, identified several alternatives to improve the Research Forest Drive and Grogan’s Mill Road intersection. An overpass was supported by The Woodlands Township and rejected by Shenandoah. Now, an underpass has been supported by Shenandoah but rejected by The Woodlands Township when board members failed to pass a resolution of support. 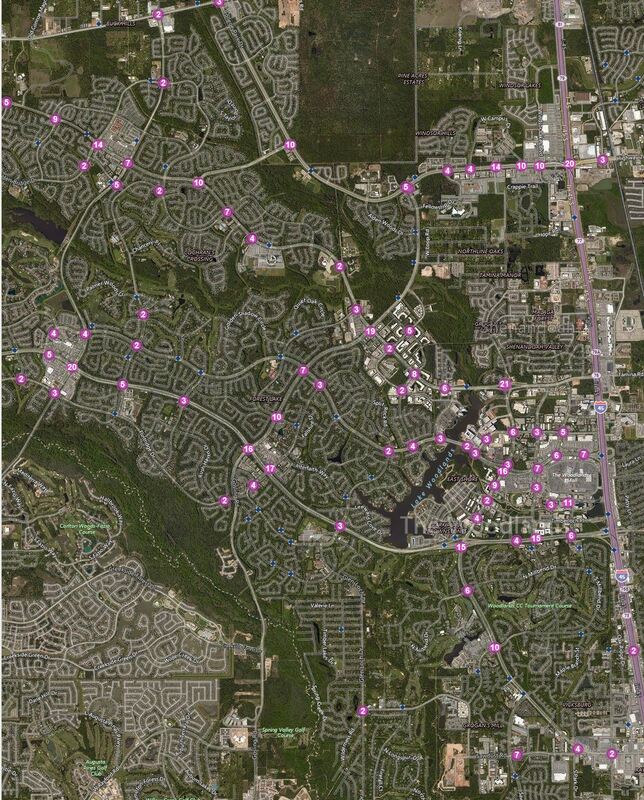 A recent law enforcement study indicates that this intersection recorded the most accidents in The Woodlands over a one-year period (Aug. 30, 2017, to Sept. 1, 2018). The main contributing factor to these accidents is due to the design of the 4-point intersection. The proposed underpass solution would provide six through lanes with the existing grade-level lanes remaining for vehicles to turn onto Grogan’s Mill. It also reduces it to a 2-point intersection, making it safer for motorists. Intersection Accident Cluster map provided by the Montgomery County Sheriff’s Office. This map accounts for accidents beginning Sept. 1, 2017 through Aug. 30, 2018. In consulting with the lead engineer, Isaac Joskowicz, PhD, PE, PTOE, of BGE Inc., who completed the South Montgomery County Mobility Study and evaluated all options of the Research Forest-Grogan’s Mill intersection, it was determined that adding at-grade lanes to this intersection, thus widening it to eight lanes, does nothing to improve the safety of the intersection. Simply expanding this intersection to eight lanes will increase the potential for more accidents. Also, just three-tenths of a mile to the west, Research Forest would abruptly transition to three lanes, creating potential for more congestion. My goal as commissioner is to work with all parties and constituents to develop a plan that improves mobility and safety with a cost-benefit result that the community deserves. The suggestion to just widen this to eight lanes at the intersection is a $4 million “short-term fix,” as admitted by township board members, that would only kick this congestion problem down the road. And, this proposal also would cost county taxpayers more than four times as much as the underpass, which would cost the county less than $1 million as proposed for funding through the Transportation Improvement Program with the Houston-Galveston Area Council. It is important to hear from the entire community regarding proposed plans for this intersection and not just a select neighborhood. Residents in Alden Bridge, Cochran’s Crossing and Sterling Ridge travel this thoroughfare daily, and I am seeking feedback from the entire community. “We want to take a proactive role in the development and expansion of our current roadways,” he said. 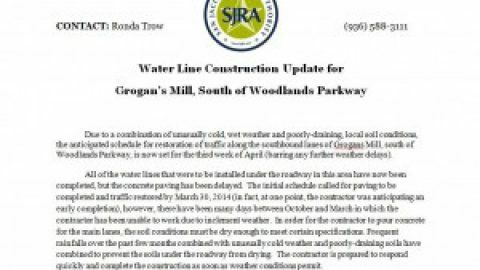 Please see attached letter in reference to the GRP construction along Grogan’s Mill Road.